Kentucky Gov. Matt Bevin, has been systematically working to end abortion services in the state, and he has very nearly gotten his wish. A trial begun Wednesday will decide the fate of Kentucky’s last abortion clinic. Reuters reports that a US District judge will be hearing arguments in a three-day case surrounding whether the EMW Women’s Surgical Center can remain open. In March, the clinic was suddenly informed that their license was being revoked as they were not meeting unnecessary requirements that they say they had never been previously notified of, including precautions for medical emergencies, like transfer agreements with hospitals and an available ambulance service. 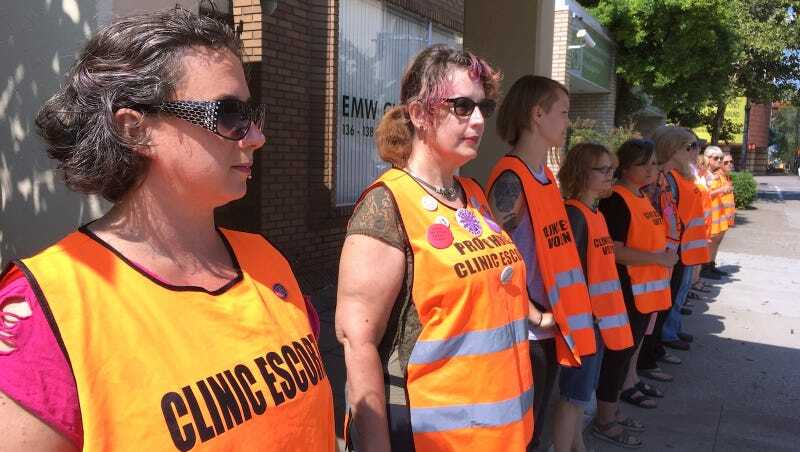 EMW argues that the restrictive regulations imposed by Bevin’s administration are solely intended to shut down clinics, and have nothing to do with the safety of women. All hospitals are already obligated to take in patients in an emergency, and will be transported by EMS units in such cases. Kentucky is one of seven states with only one abortion clinic, and if EMW closes it will be the first to have none, according to NPR. “So when weighing the benefits of the law against the burdens — which the Supreme Court requires states to do — it’s very clear that what Kentucky is doing is blatantly unconstitutional,” Amiri said.